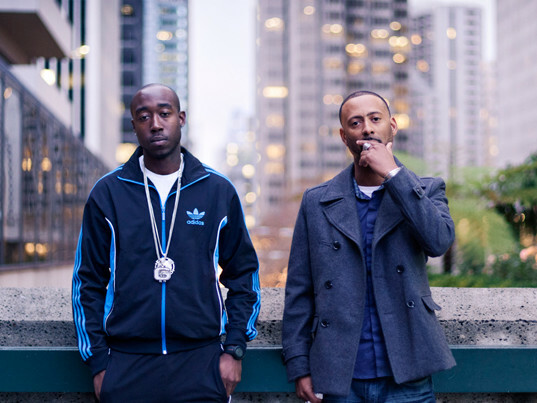 Madlib & Freddie Gibbs Set To Release Second Joint Album "Bandana"
New York City, NY – Madlib announced an album with Freddie Gibbs entitled, Bandana, will soon be released, Pitchfork reports. The producer disclosed news of the collaborative studio album during a talk with Red Bull Music Academy on Saturday (May 7). Madlib revealed that a lot of the beats he shopped around for Kanye West’s The Life Of Pablo album will be used on Bandana. No word on a release date yet. In 2014, the pair released the 17-track Piñata which was exclusively produced by Madlib. Piñata was named as one of the best Hip Hop albums in 2014 by SPIN, Complex, Rolling Stone, Vibe and Billboard among others. For additional Freddie Gibbs coverage, watch the following DX Daily.